On Tuesday, Paul Cohen, the long-time agent for Colorado Rockies shortstop Troy Tulowitzki, told the New York Post that he would meet with Tulo on Thursday to discuss whether or not they would ask the Rockies for a trade. Unfortunately, as word of the meeting spread throughout Denver, the tone of the city was far more resigned than angry. 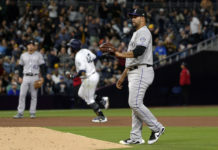 Colorado is mired in a 10-game losing streak, the offense has yet to hit its stride early in the 2015 season, but it will come as no surprise that the club’s woes can really be traced back to pitching. 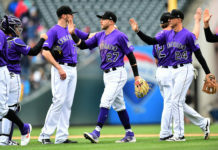 “I’m sitting in my chair here and trying to think of one positive thing and there are not many,” Tulowitzki told the Denver Post after one of the club’s most recent defeats. Tulo’s frustrated. He has loyalty; of that, there’s no question. 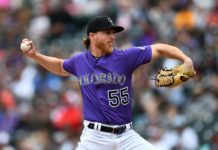 But he’s not willing to be another Todd Helton, wasting the prime years of an incredible career doomed to the obscurity of the NL West’s basement. Yet the All-Star shortstop has to sense that he may, in fact, be in the latter half of those prime years. As the club keeps losing and the injuries keep piling up (for Tulo, as well as those around him in the clubhouse), the allure of playing home games near sea level has to have an ever-growing appeal. But there is one thing that Tulowitzki and his agent are forgetting. Rockies general manager Jeff Bridich has no obligation to sell for anything less than what he wants. Perhaps not, but considering the club’s current position (not to mention the position they’d have to be in for them to consider moving Tulo later this season), it’s hard to imagine that the speculation could make things much worse. To contrast, Tulowitzki is still under team control through the 2020 season with a club option for 2021. When healthy, he’s still the best offensive and defensive shortstop in the game. He’s healthy now. And look at Nelson Cruz. He’s been his healthiest and most productive after age 30. Times have changed. And Tulo’s health can only get better at sea level. His power numbers are down. Superficially. The consensus among scouts is that his offense would rebound just fine with a decent ballclub. He’s made some errors this season. No. 1 fielding percentage of all-time you say? So what? You make him a first baseman and he’s probably the league MVP. He hits over .300 and has had an OPS consistently over .900 since his age 24 season. And his counting stats at 162-game rates assuming good health at first base? You wouldn’t even believe it. But for the record, long-term viability or not, when healthy, he’s the best offensive, and a top three defensive shortstop in the game. What else you got? Still worried about his health, huh? Well let this ease your mind: Troy’s contract he signed in 2011 pays him just over $15 million annually. That doesn’t even make the top 20 contracts in the game. Heck, Michael Cuddyer got paid two-thirds of that to sit out more games than he actually played for Colorado… Or perhaps it just seemed that way. The point is, whether Troy Tulowitzki wants out of town or not, the Rockies have to recognize that they have a commodity. There’s no need for a fire sale. In fact, pull a Masai Ujiri if you can. Include Justin Morneau and Charlie Blackmon, or see if you can unload anyone on your pitching staff. Milk as much young talent out of Tulo as you can, because chances are, the team that gets him will be getting an MVP candidate. I enjoy watching Troy Tulowitzki play, and if it comes to a trade, I will be sad to see him leave Denver. But he probably deserves better, and so do I as a Rockies fan. So let’s help each other out and get Tulo to a contender – and ravage that contender for all the young talent they’ve got.